Business leaders - whether they are team leaders, project managers, c-suite executives, or entrepreneurs - have a lot on their plate. They often need to bring work home. It is expected that they work late, arrive early, and answer their phone and emails on the weekend. It is expected that they will say yes to every request from their seniors or clients or colleagues. This behaviour has known to help a leader build their career. It demonstrates their commitment and work ethic. It tells current and future bosses they are willing to put in the hours and they are dedicated to the organization. It is necessary to move forward in one's career. We know that you hit a wall after so many hours of work and then your productivity declines. We know that work-life 'balance' is important. We know that overworking on a continuous basis is unhealthy and can lead to all kinds of health problems. We know that workaholic tendencies lead to higher levels of stress and being on autopilot, which leads to errors in judgement, mistakes, and reacting (sometimes in anger or frustration) rather than responding with thought. We also know that breaks are important for clearing our mind and being innovative and creative. We know that in order to effectively problem solve, we need a calm mind. We know that time away from work, no matter how much we love our work, is good for our health, our souls, and our organizations. We are more productive when we take time off and take regular breaks from work. So why do so many people work so many hours? When I have this discussion with business leaders, they mostly tell me that they have too much work to do. They enjoy the work they do. They like working with their colleagues. They often like the organization they work with and the industry they work in. But there is just so much work to be done and they have a responsibility. It is part of their job. They desire a positive performance 'review' (more on that later). If they do not get the work done, they will be held responsible... could lose out on a work opportunity... could taint their reputation... could be fired. Phew! That's a lot of fear going on. It's exhausting. Add to all that - they do desire to take more breaks, to have weekends free to do the things they enjoy with the people they love, to not have so much work to do, to have the mind space to problem solve creatively, and to be more productive. But they do not see how they can do that and also have the career path they desire. So they choose the career or business. Sometimes they tell themselves, "This is temporary." "I will have all that I desire once I reach a certain goal." "I feel fine. I love the work. I am not unbalanced. When I feel unbalanced, I will stop working so much." But that time often doesn't come. The work piles on more and more and the leader's 'free time' becomes less and less. So what can a business leader do? Awareness is the first step. Taking stock of how you are working and living and realizing that you work too much (if that is the case) is the first step. Realizing the real reason for saying yes to so much will help to say no in the future - because we often say yes in order to try to control what other people think of us. Trying to control what others think of us will never make us happy or content or successful. It is a waste of your time and energy. What do I not want and what do I want? Once you have all of that done (coaching helps move through this process:), it is time to start saying no. Say no to your bosses. Say no to your colleagues. Say no to potential partnerships. 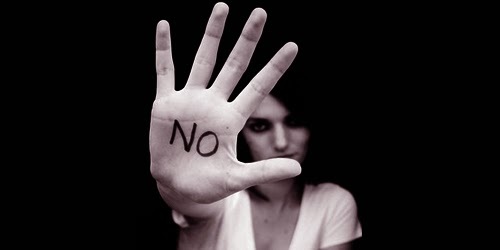 Say no to employees (yes, they put the work on you too when you do not use a leadership approach to inspire, influence, and teach). Say no to committees. Say no to boards. Say no to that extra piece of work. BUT.... only if it makes sense for you. Realizing what you do not want as well as what you do want is important in order to know if saying no makes sense for you. What you want and do not want includes the entire 'wheel of life'... so it includes things like finances, social/leisure activities, family, career/vocation, physical health, mental wellness, emotional well-being, spirituality, and physical environment. There are times to say yes. Those times include when the request is aligned with the team/organizational vision and goals; aligned with your vision and goals; will impact something important; will use your strengths and provide an opportunity to demonstrate them; and will build relationships that align with the work and life you want. Do not say yes to please others or because you are afraid of what they will think of you if you say no. That results in being overworked, stressed, and not only unproductive, but it could lead to errors and deteriorating relationships. It can lead to dissatisfaction and discontentment. It could lead to disengagement. If you are a leader, this will NOT result in progressing your career or business. It is OK to work hard and even work extra hours. But if is not aligned with what you want holistically in your life and career or business, it will drain you and could lead to wellness issues or a decline in passion. Know when to say no. Then, when you say no, you will do so with mindfulness and intention. It will not be a knee jerk reaction that may cause the person making the request to see you in a negative light. Rather, that person making the request will probably admire your integrity and leadership - and may be inspired to do the same. Now, that's a way to progress your business and career.